How much is D.L. Hughley Worth? D.L. Hughley net worth and salary: D.L. Hughley is an American actor and stand-up comedian who has a net worth of $10 million. D.L. 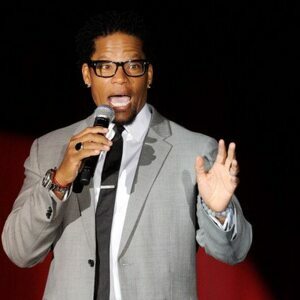 Hughley, aka Darryl Lynn Hughley, was born in Los Angeles, California in March 1963. He started off as host of a BET stand-up comedy show, ComicView, in 1992. He got his own show in 1998 which he starred in, as well as wrote and produced, called The Hughleys. The show ran 89 episodes over four seasons until 2002 on ABC and UPN. He briefly hosted a talk show for Comedy Central called Weekends at the D.L. and released a comedy album in 2005. D.L. 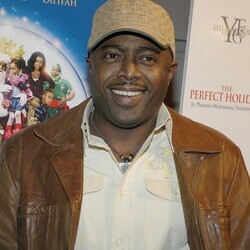 is one of the members of The Original Kings of Comedy, along with Steve Harvey, Cedric the Entertainer, and Bernie Mac. D.L. was a contestant on Dancing with the Stars Season 16. In 2009 he started a radio show The D.L. Hughley Morning Show in New York City. After going up directly against Steve Harvey's Morning Show, Hughley's show was later cancelled. D.L. has appeared in the movie Scary Movie 3m and voiced the Gadgetmobile in Inspector Gadget, as well as Brer Fox in The Adventures of Brer Rabbit. He has appeared in episodes of The Fresh Prince of Bel-Air, Scrubs, and Hawaii Five-O.